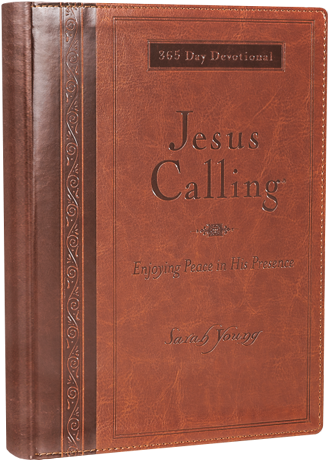 The #1 bestselling daily devotional Jesus Calling has impacted over 25 million lives with words of encouragement, comfort, and reassurance of Jesus’ unending peace and love. Excellent way to focus daily on the scriptures and the unconditional love of Jesus Christ! Easy-to-read, comfort size print is found inside this deluxe leathersoft edition. Also includes written-out Scripture verses. A beautifully debossed leathersoft cover with room for personalization makes this edition a great gift or self-purchase.